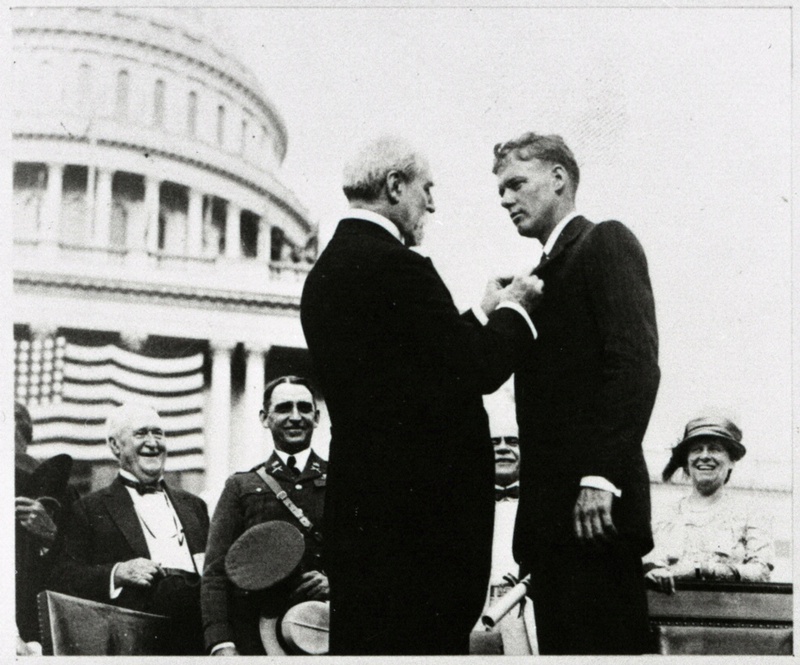 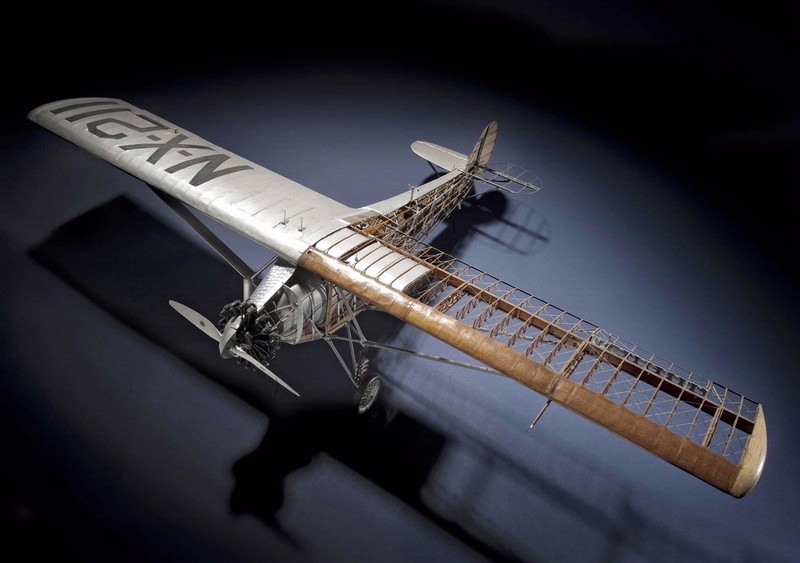 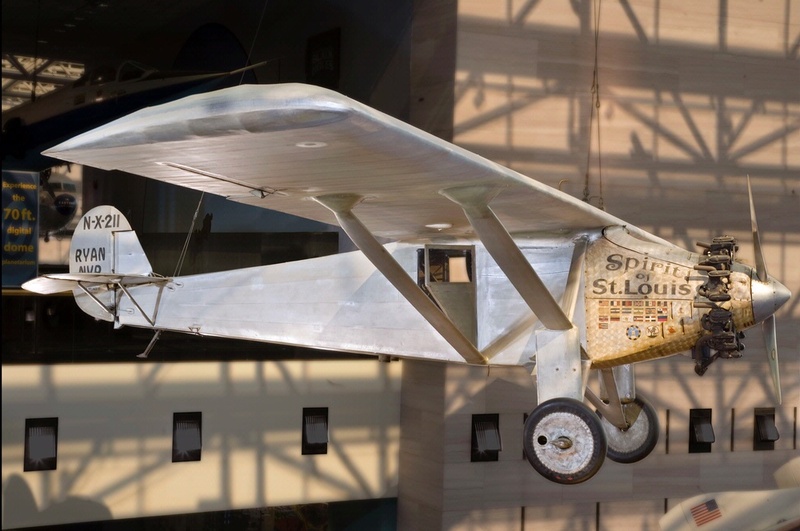 The Spirit of St. Louis, a highly modified Ryan M-2, was designed by Donald Hall under Lindbergh's supervision. 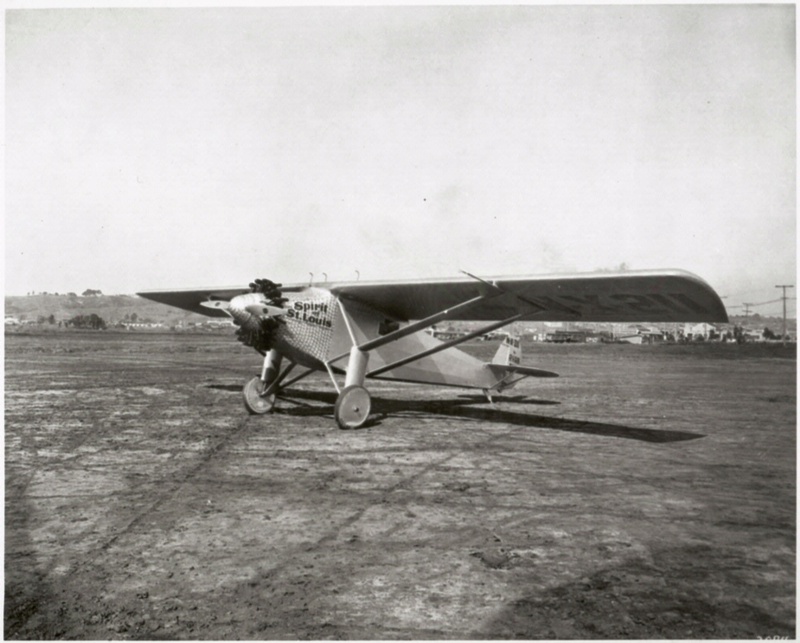 NYP stands for "New York-Paris." 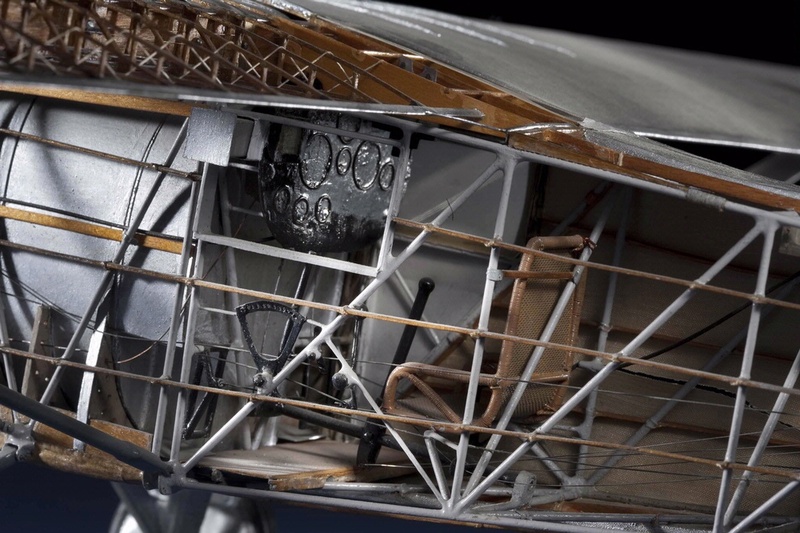 The fuel tanks were installed ahead of the cockpit for safety in case of an accident, so Lindbergh could not see directly ahead, except by using a periscope or by turning the airplane and looking out a side window. 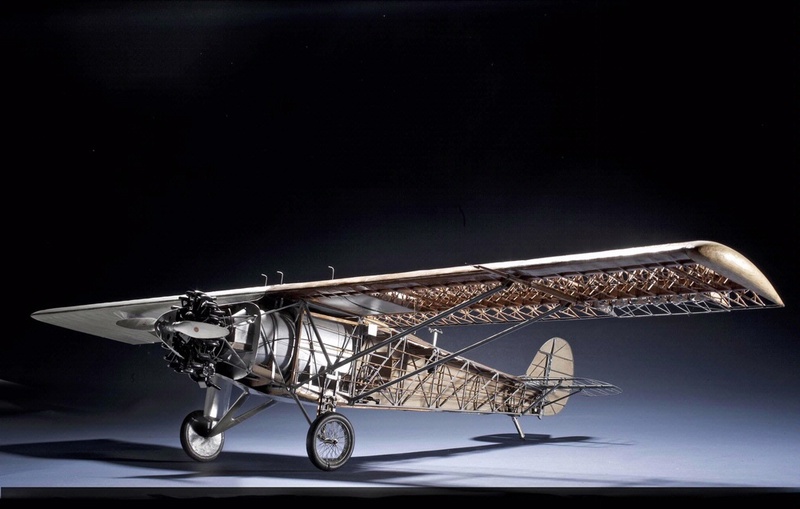 The two tubes protruding from the bottom of the fuselage are flare dispensers installed for Lindbergh’s Latin American tour. 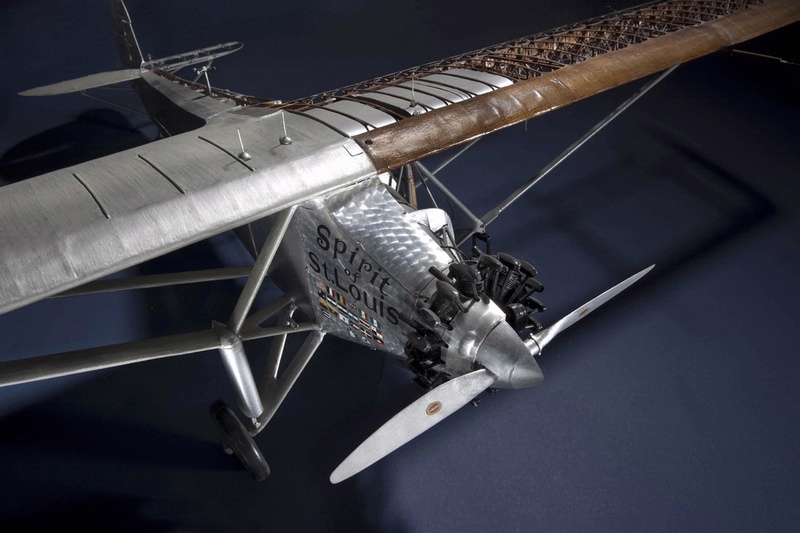 Find out more about Ryan NYP Spirit of St. Louis,1/15 scale (Detail).